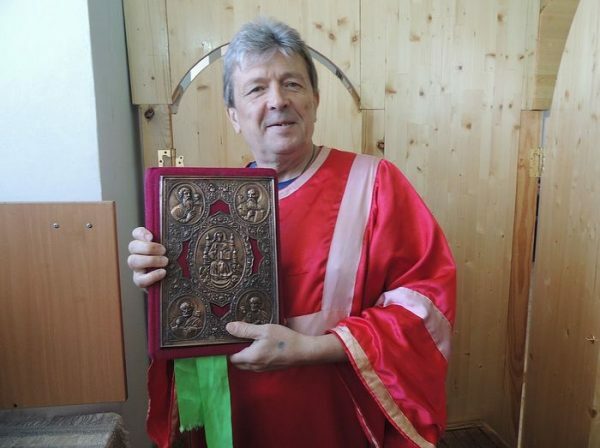 The director of the Nativity Orthodox orphanage in the Kaluga Province, philanthropist, and public figure Andrei Zavrazhnov reposed in the Lord on July 4, reports the orphanage’s Russian social media page. The philanthropist was known for rebuilding 20 Orthodox churches and for his orphanage that gave 300 children a second chance at a life and childhood, reports Pravmir. He gave up his large Moscow business in the early 1990s, distributed his millions of dollars’ worth of property, and moved to a village in the Kaluga Province near Optina Monastery. He served as the cell attendant for Elder Iliy (Nozdrin) for about 25 years, whose instructions he fulfilled. By the elder’s request and blessing, he created the Nativity Orphanage, serving as the director from the moment of its founding in 2000. He helped more than 300 children in all. “Andrei gathered discarded children whom no one wanted in the streets, in doorways, and collected them from dysfunctional families. Many of the stories of these children chill the soul. It’s impossible to write about them. He gathered these children, ‘angry as wolves,’ as he said, and gave them a home, warmed them with the warmth of care and love, and took them to church. They called him their papa,” the orphanage’s social media page recalls. In addition to working with children, he was also engaged in the restoration of churches and monasteries—his efforts brought 20 churches back to life. He also assisted in the publication and distribution of Orthodox literature, supported military veterans, looked after prisoners, and helped houses of mercy, individual churches and monasteries, and everyday people. “Andrei, baptized in honor of the holy apostle Andrew the First-Called, did the same as the Biblical apostles did many centuries ago, according to the word of the Lord—leaving everything and following Him. That’s what he did. The Lord chose him as His apostle of modern times … He could not live for himself… He lived for people. He wanted everyone to be saved and called everyone to church, to confess, to commune, to change their lives. He was very deeply worried about every soul,” the orphanage page writes. Andrei had intended to be tonsured as a monk, but he didn’t manage to in time. His funeral was served in the Church of the Transfiguration of the Lord in the village of Nizhnie Priski in the Kaluga Province.